WWE has a lot of talent coming in from different backgrounds and styles and the roster is full of newcomers impressing the audience with their skills. Kofi Kingston, an eleven-year WWE vet, gave his thoughts on this wave of newcomers in the company and said that the old-timers still have a lot they can give to the fans. “I don’t think there’s a person watching them that would say ‘they need to hang up their boots’ – they’ve got a lot more gas left in the tank. 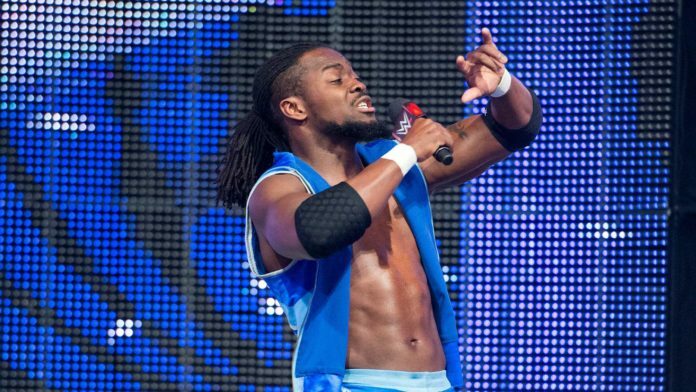 Kofi was asked who he would like to see given a chance to shine in the company. He said, “There are a lot.I am happy to see Apollo Crews getting some time [on television]; he had a real good match with Kurt Angle on Raw last week. He is super athletic and super talented, so for him to get a chance to shine is awesome. “I’ve always said that 205 Live [one of WWE’s other weekly programmes] is one of the best-kept secrets in WWE.If you watch that show, and see the quality and calibre of athletes on that show; it’s amazing, the things they can do and the stories they can tell in the ring. Kofi Kingston has been the center of attention because of his championship pursuits the past few weeks. On the last episode of SmackDown, Kofi was asked to defeat Randy Orton, Samoa Joe, Cesaro, Sheamus, and Rowan in a gauntlet match to receive a WWE Championship match at WrestleMania 35. Kofi won the match, but was screwed over by Mr. McMahon who then forced him to also face WWE Champion Daniel Bryan. An exhausted Kofi was unable to win against Bryan.